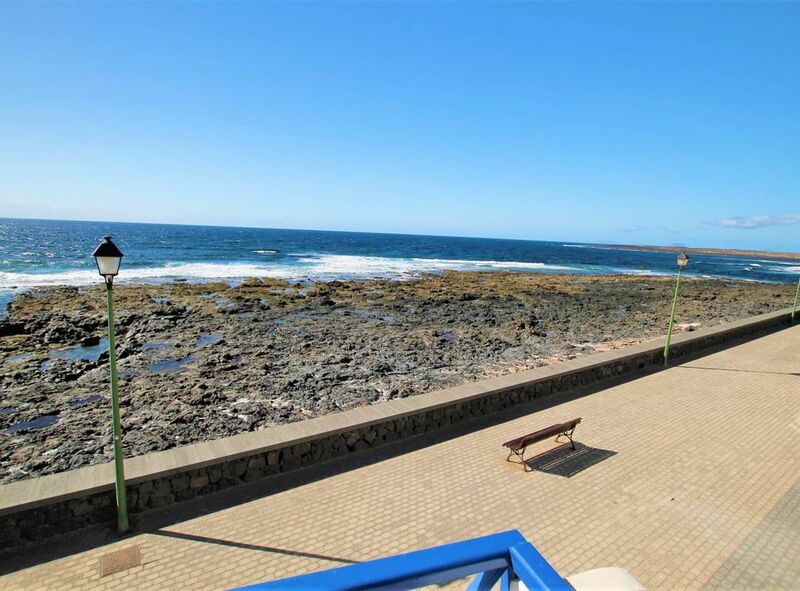 La Casa de Blas is located on the seafront in the town of La Santa, located on the 1st floor. To get there you have to go up stairs, the sea is separated by the promenade that leads to a small mixed beach of rocks and stones. The windows make you feel as if you were right on the shore of the sea and its height gives an impressive view. Your living room has a comfortable sofa with satellite TV and wifi, the kitchen is an American bar, bathroom with shower cabin. Its from 3 wonderful bedrooms. The main one, with a double bed from where the sea is heard. The second with a single bed, window with views and the third bedroom is on the top with two single beds. The 6-seater dining room at the top where the walls are large windows overlooking the sea, total relaxation and contemplation.